An All-Star at catcher and second base, Biggio became the 27th player in history to collect 3,000 hits. 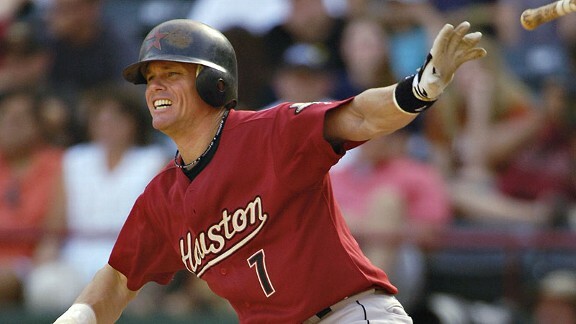 During his 20 seasons, all in an Astros uniform, Biggio recorded 414 steals, 291 home runs and 1,884 runs. Biggio hit more doubles (668) than any other right-handed batter in history and is the modern leader in hit-by-pitches (287).